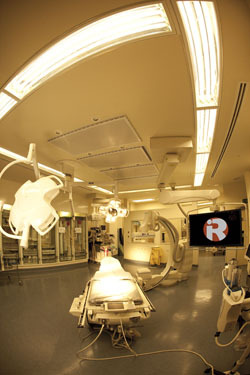 Interventional Radiology, often referred to as ‘IR’, is the rapidly developing and exciting area of minimally invasive treatments using image guidance to perform procedures in nearly every organ in the body. Interventional Radiologists are medical specialists trained in using ultrasound, X-rays or CT to place needles and catheters (tubes measuring a few millimeters) through the skin without requiring any incisions (usually just a ‘nick’ in the skin). These can be placed into arteries and then steered to the body part needing treatment or placed directly into the organ or tumour. A growing number of procedures that previously required open surgery can now be performed using interventional radiology. When compared to the open surgery for the same condition the recovery is must faster, and the risks are often less. Interventional radiologists offer in-depth knowledge of the least invasive treatments available coupled with diagnostic and clinical experience across all specialties. 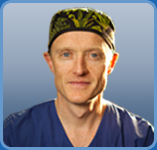 Interventional radiology treatments can offer less risk, less pain and less recovery time compared to open surgery.